I also used my first of six drops. I know that isn’t something to brag about, but I’m relieved I got to drop Intro to Social Work. Don’t get me wrong, the class is interesting and interactive. It has awesome guest speakers and a laid back professor. I did have to write an essay each week (that was a hassle), but it wasn’t a big deal because I still got As. My real issue was that I needed 40 community service hours – and work with animals didn’t count! I’m normally all for volunteering, but in order to even be considered for veterinary school, I need over 500 hours actually interacting with animals. Having to deal with 40 hours of something that won’t contribute to my resume was just stressful. Plus, I need a psychology course as a pre-requisite for the veterinary science degree at Texas A&M (my grad school of choice), so I might as well take it at UHCL as my behavioral science class rather than social work. It turned out it all worked perfectly, and I don’t need to worry about getting 40 community hours by the end of November or an essay due each Monday. In other news, the blood drive was this week. I hope you got a chance to stop by and donate. It was refreshing to see so many people interested in saving lives. I, personally, couldn’t donate due to low iron levels, but that didn’t mean I couldn’t help out. 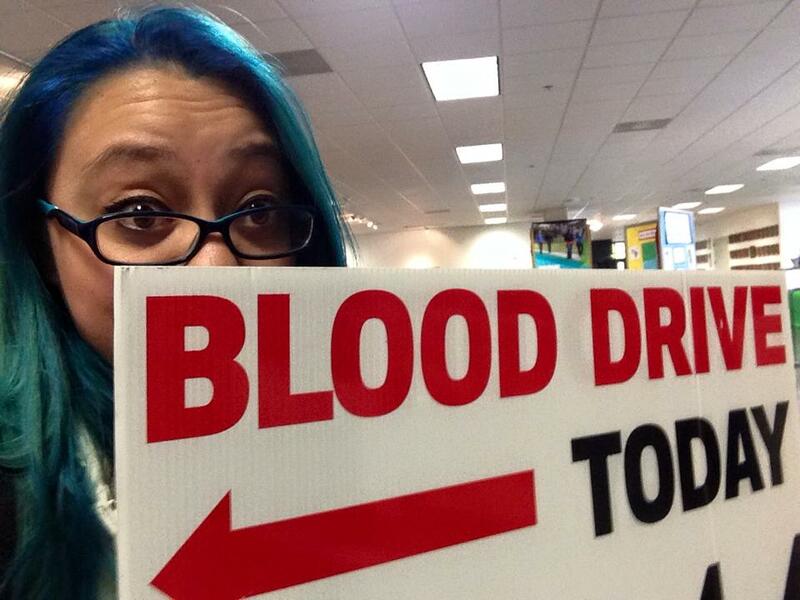 If you saw a blue-haired girl walking around handing out blood drive flyers, that was me. I volunteered 6 hours at the blood drive, which gives me a total of 16 volunteer hours for this semester. Speaking of volunteering, did you guys check out the charity event in Atrium I last Wednesday, Sept. 23? Truth be told, the main reason I went over there was because I saw a doggy. Turns out there were a ton of charity organizations looking for donations and volunteers. 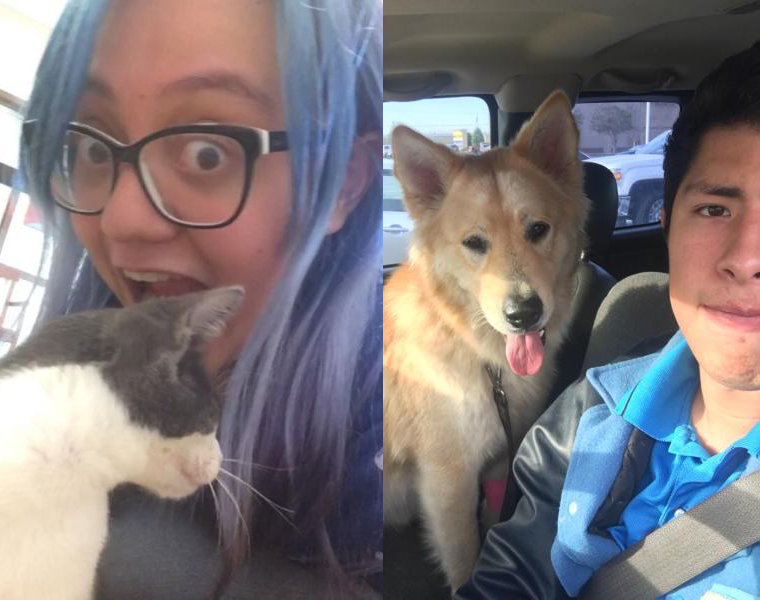 There were three animal rescue organizations, so I swept in and got some volunteer opportunities. Not to sound like a volunteer junkie, but I am ecstatic about it. In fact, this weekend I’m going to be volunteering at PetSmart taking care of kittens and walking doggies. Things just keep getting better and brighter. I can’t wait to see what next week brings! 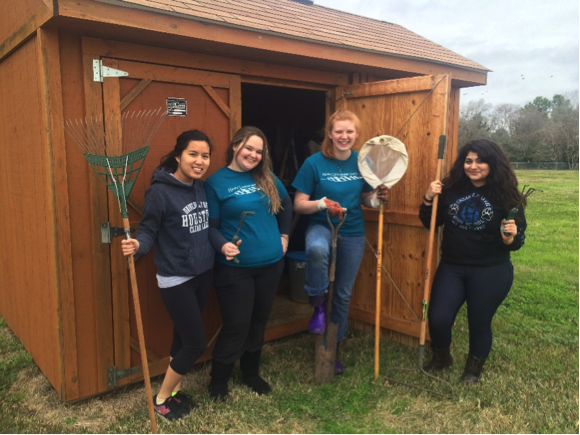 This entry was posted in Sophomore, UHCL Freshman Experience and tagged #BloodDrive, #SocialWork, #Volunteering, UHCL on September 28, 2015 by TheWingspan.